We Drink Your Milkshake! : First FANTASTIC FOUR Trailer Is Not Bad, Surprises Nerds Everywhere! First FANTASTIC FOUR Trailer Is Not Bad, Surprises Nerds Everywhere! There's been a disturbing trend lately where people on the internet, professional and esteemed critics included, will be dismissive of a movie thank to reports of a "troubled" production or reshoots weeks after principal photography has finished. What most people seem to remember is that movies are a complicated beast and many movies have had crazy stuff go down during production. All of this to say that unlike a lot of people, I really want to see THE FANTASTIC FOUR. I like director Josh Trank, Kate Mara is an amazing actress and Miles Teller and Michael B. Jordan have great chemistry as seen in THAT AWKWARD MOMENT. It could also be a terrible piece of crap, but I'm not ready to dismiss it yet. Now, thanks to the 20th Century Fox YouTube page via JoBlo Trailers, we have the first trailer for the movie. Check it out after the break. So yeah, not too bad at all! I do find it curious that out of the four, only Kate Mara's Susan doesn't get to show part of her power. I do hope that the super serious tone is not always going to be there, but Trank is not a director known for having a funny bone. But it does seem like it'll be a more "realistic" take on the property. I seriously doubt that Jamie Bell will be saying "It's clobberin' time!" anywhere in this movie. Anyway, I'm honestly hoping for a late-summer sleeper hit with this movie. But I guess we'll have to see! 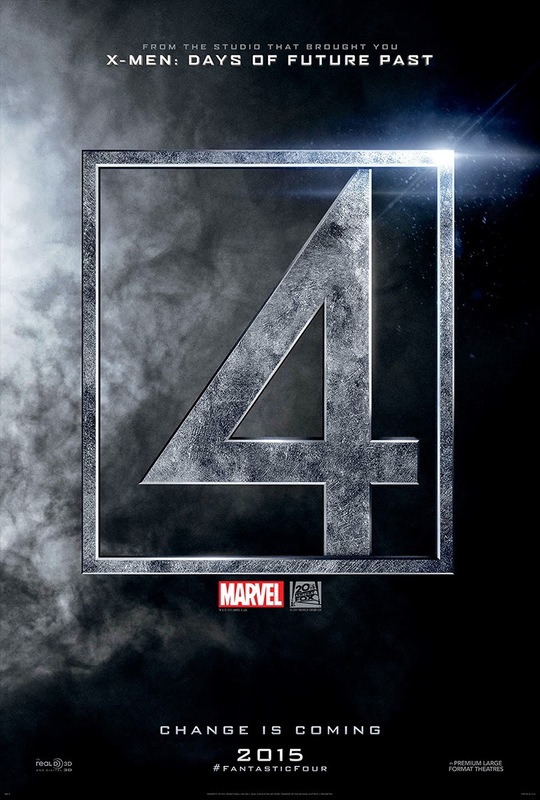 FANTASTIC FOUR is directed by Josh Trank, stars Miles Teller, Kate Mara, Michael B. Jordan, Jamie Bell, and Toby Kebbell, and comes out August 7th, 2015.